1984 Harley Davidson Roadster, 2016 Kawasaki Vulcan, H-Davidson Parts, Clothing, Franklin Mint Collectible Cars, Watches, Jewelry, etc. Pelican Paddle Boat, 100's of Collectible Knives, & Swords. Deposit Requirements: Deposit will not be applied to the total due. Deposits will be returned within 48 hours afterr the close of an auction for non-winning bidders and within 48 hours of receipt of successful payment from winning bidders. To receive a bidder number, a $100 Authorization will need to be placed on your credit card. (This process can take up to 1 business day, please sign up early and plan accordingly.) No charge will post unless you are a winning bidder. THIS IS A COMBINED ASSET AUCTION. EVERYTHING IS SOLD "AS IS". READ YOUR TERMS WHEN YOU SIGN IN FOR YOUR BIDDER NUMBER AND BEFORE BIDDING. DO YOUR HOMEWORK BEFORE BIDDING. TAKE ADVANTAGE OF THE PREVIEW DATES GIVEN TO YOU. ATTEND PREVIEW TO VERIFY MEASUREMENTS, DESCRIPTION, COLOR, CONDITION,ETC OF THE ITEMS. EVERYTHING IS SOLD "AS IS" AND THERE IS ABSOLUTELY NO GUARANTIES OF ANY KIND. NO MENTION OF DEFECTS DOES NOT MEAN THE ARE NONE THANK YOU AND HAPPY BIDDING :) Special Terms PLEASE READ ALL TERMS & CONDITIONS BEFORE BIDDING! All items will be sold at online auction only & sold 'as is, where is'! ALL sales are FINAL! NO warranties or guarantees are expressed or implied on any of the merchandise. By accepting a bidder number & bidding you are acknowledging that you are buying at your own risk! Invoices will be sent to winning bidders on or before the morning following the auction. A 17% buyer's premium will be added to the final bid price on all purchased lots. We at JBA take pride in posting good images and descriptions, but sometimes pictures get misaligned from their description, so bid on the description and call us if you are confused. Ultimately, IT IS THE BIDDER’S RESPONSIBILITY TO MAKE THE FINAL JUDGMENT OF EACH LOT, AND CONTACT AUCTION HOUSE PRIOR BIDDING WITH QUESTIONS CONCERNING THE LOTS OF INTEREST. ALL LOTS ARE SOLD 'AS IS, WHERE IS'. JBA makes no warranty to the condition or usability, conformity to any law, of any of the merchandise. Applying for Tax-Exempt Status: Some bidders may be exempt from payment of applicable taxes. If you wish to apply for tax-exempt status, you must submit a completed copy of the Auctioneer’s tax-exempt form prior to this auction’s closing. PLEASE READ: At the request of the auction company, this auction permits bids to be placed by the auctioneer, an employee of the auctioneer, or the seller or an agent on the seller’s behalf, even if such bids are placed solely for the purpose of increasing the bid. While Proxibid’s Unified User Agreement prohibits this behavior, in accordance with UCC 2-328, this auction is permitted to engage in this activity by providing this clear disclosure to you, the bidder. Your agreements with The Auctioneer (JBA) by your participation in this auction:. You agree not to use any hardware, software, program, or system that would interfere with the orderly process of this sale. You further agree not to copy, reproduce, or publicly display any content from the Auctioneer’s website without first obtaining written permission from the Auctioneer. You acknowledge that JBA is providing you with the opportunity to inspect the items being offered for sale in this auction and JBA strongly encourages you to attend the scheduled inspection for this auction, If you choose not to attend the scheduled inspection and are in doubt about the condition, completeness or suitability of a given item, please bid accordingly. You agree that your failure to inspect or otherwise become fully informed about the items offered for sale in this auction will not be grounds for a refusal to pay amounts due to JBA or grounds to make claims against the JBA. You agree to bid carefully; any bidder errors that you deem need correction must be reported to our company prior to auction, and the outcome is solely at the discretion of our auction company. If you believe someone is fraudulently using your account, you understand it is your responsibility to promptly report this suspicion to us and any relevant law enforcement authority or you will be held personally responsible for all purchases made on your account. All aspects of this auction are subject to change without notice. JBA reserves the right to take any action deemed necessary to effect the fair conduct of this sale or protection of buyers’, sellers’, or other parties’ interests – at any time – including to add, remove, split or combine items from the auction, add minimum bids or reserve prices, cancel, suspend, extend or reschedule the sale of an individual item, lot, auction, and/or auction event, make changes to the auction’s closing, inspection, or removal times, or take any other action deemed reasonable. In the event a seller withdraws an item from this auction prior to the close of the auction, the Auctioneer may leave the item on the catalog and buy the item back on behalf of the seller to establish the Auctioneer’s earned commission and the buyer’s premium due to the Auctioneer from the seller. JBA’s online auctions are live, and have staggered adjusting closing times in set intervals. Investigate the “maxi-bid” option within Proxibid to win bids on your schedule at the lowest price. If you place a bid in this sale, and your bid is determined to be the winning bid, you become obligated to pay for the item that you have won at the price you gave as your bid. If you end up placing one or more winning bids in this auction, the summary will arrive in your given e-mail to let you know which items you have won. This e-mail notification will be the only contact you receive from JBA about your winning bids; this means that you are responsible for checking your e-mail following the close of the auction to determine what items you have won. If you do not receive an e-mail identifying you as a winning bidder, and you believe that you placed a winning bid, you must notify the Auctioneer by sending an e-mail to joe@joebradley.com of your situation by 9:00am on the day after of the auction has closed. You agree that the Auctioneer will be the sole authority regarding the identification of winning bids. Thru this agreement you agree that you will accept all charges placed on the credit card associated with your account, and you agree that you will not charge back any amount that the Auctioneer charges to your credit card. JBA may, at its discretion, suspend online bidding privileges for bidders not complying with these terms and conditions. You are solely responsible for risks and expenses of the safe pick-up, removal, and transportation of your items. You agree that the pick-up, removal, and transportation of your items will be solely at your expense and at your risk. You further agree that you will be responsible for any damage that you or any of your agents cause during any preview or removal period, and also agree that the credit card associated with your online account will be charged for any expenses incurred and/or repairs necessary as a result of any damage that you cause. You accept JBA’s policy to only release items to persons bearing paid sales receipts be it the bidder or bidder’s representative. In the unusual event that an item has been totally misdescribed or is unavailable for pickup during the published removal times, you must immediately email your claim in which you completely describe the nature of the problem by replying to the email we (JBA) sent you notifying you of your winning bid. You understand and agree that if you fail to make a claim for non-delivery within twenty-four hours of your discovering the problem, your claim for non-delivery will not be considered. Any claim or controversy out of or relating to these Terms and Conditions, or to any breach thereof, will be settled either (1) in San Diego County Small Claims Court, if the claim in question amounts to less than $5,000, or (2) by means of arbitration in accordance with the Commercial Arbitration Rules of the American Arbitration Association, if the claim in question amounts to more than $5,000. In the event of arbitration, judgments upon the award rendered by the arbitrator may be entered by any court having jurisdiction. You agree that all claims will be litigated or arbitrated on an individual basis, and will not be consolidated with any claim made by another party. Venue in every case will be San Diego County. You agree that any judgments awarded may be applied to and collected from you personally or corporately. Should any party file an action contrary to this paragraph, the counterparty may recover reasonable legal fees and costs. Further, if you bring a claim against the Auctioneer and do not prevail, you agree that you will reimburse the Auctioneer for all reasonable legal fees and costs. You agree that the Auctioneer may seek interim or preliminary relief in a court having jurisdiction in order to protect any rights or property that the Auctioneer may have pending arbitration or litigation. In all cases, the Auctioneer’s liability, and the liability of the seller of the items in this auction, will be limited to the refund of your purchase price. The Auctioneer will not be liable for any amount in connection with the postponement or cancellation of this auction, or the withdrawal of any item or lot, for lost profits or any special, incidental, or consequential related to this auction or any related sale or transaction. : The Auctioneer is not responsible for any action taken by any seller, bidder, or other third party before, during, or after this auction. You understand that this auction is online-only, and so relies on devices and programs that may malfunction without warning and Auctioneer will not be liable for any error or inconvenience that may be the result of such a malfunction. You further understand and agree that Auctioneer may void or suspend any sale, or resell any item, if the Auctioneer determines a transaction to have been affected by any site malfunction. You agree to indemnify, defend, and hold harmless the Auctioneer and its employees, officers, owners, affiliates, agents, and representatives from and against any claims, losses, damages, liabilities, judgments, fees, costs, and expenses, including reasonable legal fees and costs, related to, arising from, or associated with you, your agents or representatives – including, but not limited to, personal injury or property damage caused at any sales site or during removal or transportation of items won at auction, any dispute with another bidder, or any violation of these Terms and Conditions. These Terms and Conditions do not – nor are they intended to – create any agency-, partnership-, joint venture-, employer-employee-, or franchisor-franchisee relationship. These Terms and Conditions cannot be altered except in writing by the Auctioneer. If any term, provision, paragraph, condition, or other portion of this agreement – or the application of these to any person, place, or circumstance – is held to be invalid, unenforceable, or void, the remainder of this agreement and such term, provision, covenant or condition as applied to other persons, places and circumstances will remain in full force and effect. These Terms and Conditions contain our entire agreement and supersede any prior oral or written agreements relating to the same subject matter. !! ALL SALES ARE FINAL! NO REFUNDS !! !! EVERYTHING SOLD TO THE HIGHEST BIDDER !! A $100.00 dls refundable guarantee deposit will be required to bid. It is your responsibility to have a current active credit card on file with Proxibid that has enough credit/money in it to cover qualified purchases & guarantee deposit. It is your responsibility to do so. 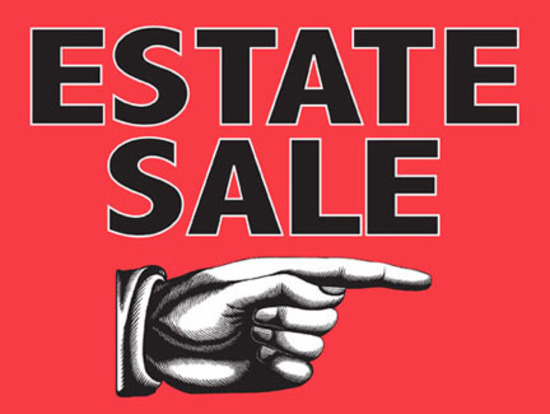 CASH BUYERS RECEIVE 4% DISCOUNT: Contact our office at 619-297-7653 leave a message with name and bidder paddle number or email: RSVP@joebradley.com and let us know you want to pay with cash. Otherwise you CC will be charged. Purchases under $10.00 dls payment will have to be cash.ONLY. Purchases over 1501.00 ds will also have to be cash or wire transfer. Items will not be released without confirmation of payment. You will forfeit deposits and items if not pickup on time.Charges will be added for late pickup or payment. We will refund your $100.00 guarantee deposit once we have confirmation that you have paid and picked up all of your items. Shipping Instructions: Buyer is responsible for removal of all items purchased. In the event Buyer requires shipment of its purchases, Buyer is responsible for making those arrangements. This includes packing, insurance and shipping. Buyer shall accept full responsibility for any damages, losses, acts or omissions once Buyer's representative removes purchases from the sale site. In the event Auctioneer assists Buyer with this process, it does so as a courtesy, and shall assume no responsibility for damages, losses, acts or omissions of any packer or carrier, whether or not such packer or carrier is recommended by Auctioneer. P.S. Shipper has the same check out dates and hours as our local buyers. Contact shipper of your choice prior to bidding to make sure they will be available for the specific check out dates and times for this auction. You've been outbid to L****4! to YOU! 2016 Kawasaki Vulcan 900 Classic. RUNS 8,116 miles Current Reg & Calif. title. Harley Davidson Helmets 1 Medium and 1 XXL with tags and storage bags.